For covering fermenters up to 15 mbar. 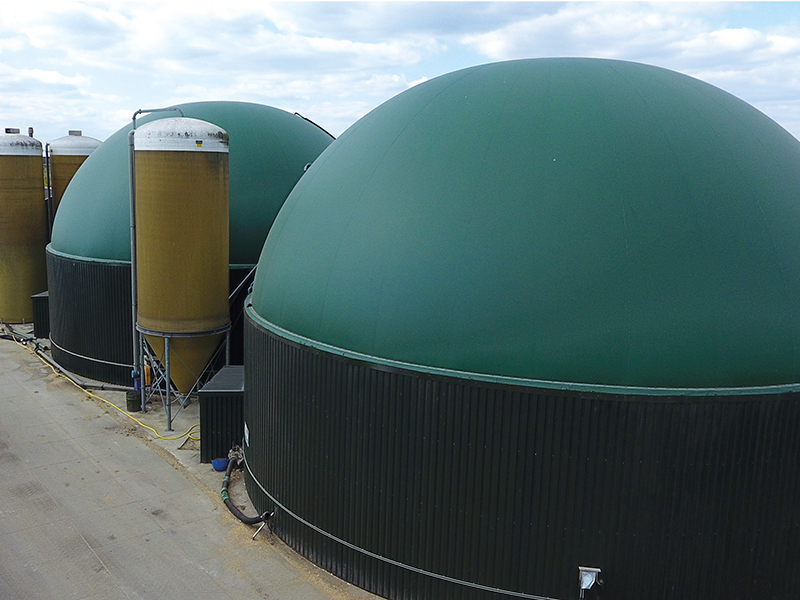 More than 35 years’ experience with Biogas roofs. 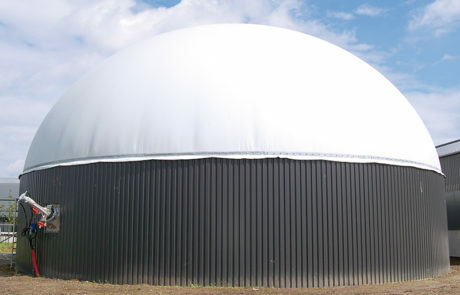 For round silos made from concrete, steel or wood. Large storage capacity due to its shape. Especially suitable for covering fermenters at pressures up to 15 mbar. 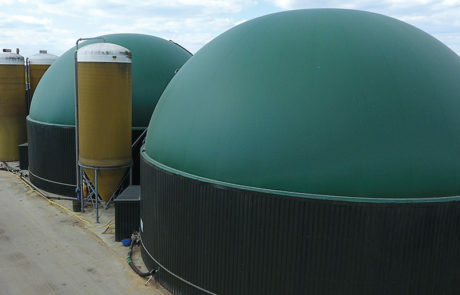 Used at many water treatment plants, landfills and agricultural biogas plants. Reliable and maintenance-friendly storage system. Extensive advice for complex situations. High demands are placed on gas storage systems. Gas-tightness, service life and environmental aspects play a major role. 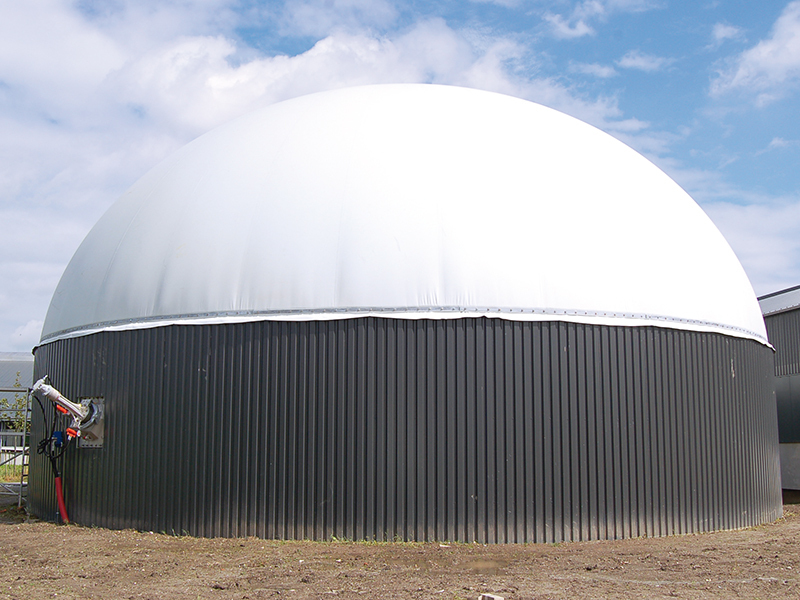 Therefore, the material of the Biogas roof must be easy to process, have good kink resistance, meet many mechanical requirements and have good chemical stability. We have all the expertise in-house. Albers Alligator obviously uses its own experienced employees to install the Biogas roof.